Anyone remember when the Zune was going to be the iPod killer? As it turned out, one of the big things eating away at Apple’s iPod sales is the Apple iPhone rather than any media player Redmond has spun out…but Microsoft has always said the plan to be in the PMP game for the long haul, and now the company has taken another baby-step along that road by lowering the prices on its 16 GB Zune HD and 32 GB Platinum Zune HD to $190 and $250, respectively, widening the price gap between the Zune HDs and Apple’s iPod touch line. Microsoft’s price reductions mean that the 16 GB Zune HD now costs $10 less than the 8 GB iPod touch…and offers twice the storage capacity along with HD radio and the big 3.3-inch OLED display. 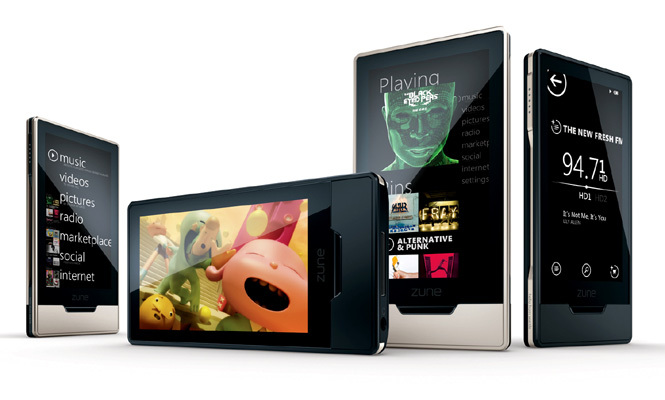 However, the Zune HD line has long had an edge on the iPod touch in terms of pricing, and consumers have still gravitated towards the Apple products, potentially because of the device’s more-mature ecosystem of applications (both on the devices and on Macs and PCs) plus a wider world of accessories. However, the price cuts may help Microsoft convince a few more customers to give the Zune a try…and may be a hint that Microsoft has more Zune products coming down the pipe in the near future.